„The mind is the limit. Muscle gains. That's what most guys want. Really massive muscles like Arnie and ideally within a few weeks. That the reality looks different is not so motivating anymore. I'll show you some workout routines with a realistic but efficient way to get the muscles you want, according to your training experience. And you will be briefly informed about realistic goals and the risks of shortcuts. That's the major problem. It is impossible to put on 20 kilos (44 lbs) of pure muscle mass in 8 weeks and to loose 10 kilos (22 lbs) of fat at the same time. Unfortunately, this is physiologically impossible. Therefore it is important not to expect anything impossible. Simply continue to workout. Success will certainly come, but not as fast as hoped. And maybe not 20 kilos (44 lbs) of muscle mass. There is quite a simple method by Lyle Mcdonald. It shows what is possible with regular intensive training. So you see what's more or less possible. In your first year as a training beginner, you can build up about 1 kilo (2 lbs) of muscle every month. After every further training year it becomes less and less until you reach your physical maximum. I don't want to demotivate you, on the contrary, training can be a lot of fun and you can get big. You just have to know that all the Hollywood actors don't just reach their dream bodies through hard training in that short period of time. Some do, but sure not all. And that brings us to the next point. If you want to know more about how to set realistic goals, read the article Your goals. But how much muscle mass is possible if you train naturally and do not take any illegal substances to increase your performance? The founder and owner of Leanganins.com, Martin Berkhan, has analyzed many athletes and bodybuilders and created a really simple formula. 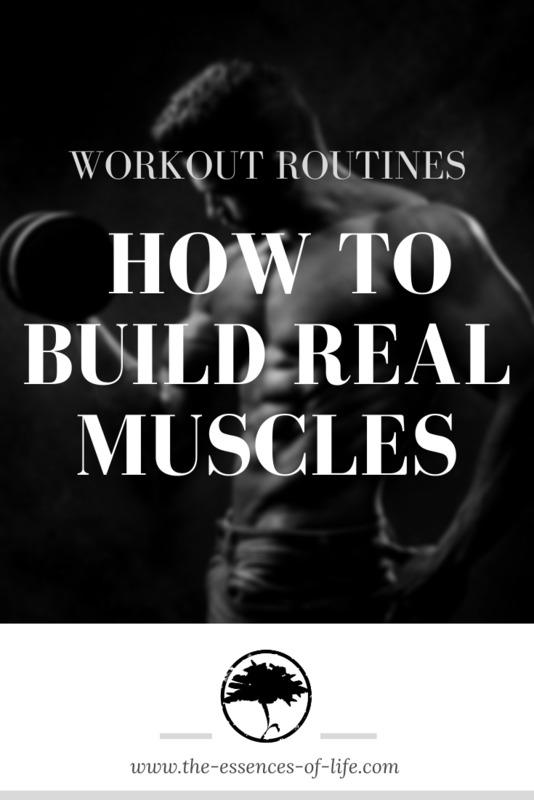 It is only a rough guideline and there are certainly more exact and complicated methods, but it gives you a really good direction how much muscle mass could be possible. In this example we always assume a body fat percentage of 5-6%. So if I am 180 cm (5"11) tall, then my optimum would be with 5% of body fat at 80 kg. But since I am more than satisfied with 10%, I have to add another 5% of 80. Are approx. 4 kilos. That means 84 kilograms would be maximum with 10% body fat. This is perhaps a little exaggerated and we assume this results only with extreme athletes and perfect genetic conditions. With a healthy body fat percentage of about 12-15% and a little less muscle mass, my weight would probably be about 80-82 kg. It is just a rough guideline. So round about it fits, if one would take the whole thing as an approximate weight. ...cancer, liver-, kidney- or heart-failure. You mess with your whole hormonal balance and maybe it won't ever recover. Especially with the wrong dosages. You are not at the doctors who know exactly how much of what, when and where to inject. Female breasts, acne, shrinking of the testicles and impotence are also typical side effects. So do I have to say more? Hands off! It's just not worth it. Even if you are still super fit at 55, your testosterone level might not be the same as at 25. However, a protein-rich diet and physical activities increase your testosterone levels in the body. So training is the best way to improve your performance. But you will have less energy as you get older and you should warm up well before every workout. Tendons and muscles simply become more vulnerable. But never forget, that movement ist one of the most important things, when getting older, to stay healthy. Maybe visit the doctor before you start with a physical activity. You need protein to build muscles. These are the bricks for every cell in the human body and also for your muscles. Low-fat curd cheese, poultry, eggs, and fish are just a few examples. You don't have to overdo it. There are instructions that say you should eat 2,5 - 4 grams of protein per kilo of body weight everyday or even more. This is completely excessive and not very healthy for a longer period of time. If you do weight training or any kind of training, then 1,5 grams per kilo of your body weight, is more than enough. Just make sure you consume more than usual if you want to see good results. And this doesn't just apply to protein. If you are looking for a more accurate method, try a TDEE-Calculator. You can find them all over the Internet. Try more than one and compare the results. Ectomorphic physique: Of course, your genes and your physique make a lot of difference. There are people who are always skinny. For those people it's important to eat much more or even support them with weight gainers, otherwise they will build up very little mass. Very often these people eat less or they have such a high metabolism that they burn everything. Here a calorie surplus of 20% must be created and this for a longer period of time. Endomorphic physique: On the other hand, there are people who put on fat easily. They also need to have an over-caloric surplus to bulk up, but they must be careful not to eat too much or too badly. Too many saturated fats only cause a jiggling tummy instead of wide pecks. Also the thyroid function must be taken into account. It regulates the metabolism in the body. Perhaps having the values checked by a doctor can do no harm. Possibly the fat metabolism can be stimulated or adapted with an appropriate therapy. When building muscle, follow a good diet and maintain a calorie surplus of about 10-15%. In the beginning I wanted to get big very quickly and ordered a lot of stuff. Multivitamin, L-Arginine, BCAA, protein powder, creatine, Omega3 capsules, etc. I don't want to condemn any of it, quite the contrary. Supplements make sense. Just don't expect any miracles. Therefore you don't need to overdo it, because you can balance a lot with your diet. A balanced diet with nuts, protein sources such as meat, fish and dairy products covers a lot of the products mentioned above. Someone who in turn eats little or hardly any fish can provide good support with fish capsules (Omega3). It just should't be seen as an alternative for a healthy diet. It is only a supplement, as the name already suggests. I recommend protein shakes only after training, because too much of it can also overload the kidneys. Creatine makes sense especially after one year of training experience. You get better results because you have more strength and you have more endurance. By using types like Cre-Alkalyn you don't even soak up a lot of water as cheaper versions (Creapure). 2 months cures, without loading phases of about 3-5 grams per day are best. If you take a month break, your body will not get too used to the additional strength and you can't expect any side effects. It is also reported repeatedly about continuous intake. Nothing may speak against this, but I like to give my body a break from all supplements. Decide for yourself. A lot of liquid, at least 2-3 liters (0,5 gallon) are the minimum while taking creatine. What about beginners and supplements? At the beginning I would hardly take any supplements, so after some training experience you can top it off again. So you don't anticipate everything from the beginning. Creatine only makes sense when you reached a plateau, and not just because you think it would get you more gains. Supplements are no miracles. A good whey protein shake makes sense directly after training to supply the muscles directly with protein when they are most receptive. In the beginning the training and the muscle gains go faster anyway. You can see good results after a few months. I recommend: Omega3, magnesium and whey protein shakes. That would be the maximum of supplements in the first 10 to 15 months of training. Do not hesitate to consult a doctor to check for a deficiency. You could then eliminate this with a specific nutrition or supplements. Enough said, now it's time for the workouts. Dropset = 3 sets to muscle failure, where the weight is reduced every set. Take a weight where you can do about 10-12 repetitions. Then do as many repetitions as possible, take down a weight plate or about 10-15% weight and do again as many repetitions as possible. And the whole thing a third time. No rest between sets. It doesn't make much sense to jump straight to the later workout plans, even if they look tempting. The muscles are only able to endure such complex workouts after a while of training experience. In the beginning the danger of injuries and overtraining is very high. Your muscle fibers and tendons are not used to it yet. Training injuries can occur quickly, which will bring your training career to an abrupt end. So take things slowly and with consistency. Your muscles grow during rest periods. Give your body time to regenerate and try to sleep at least 7 hours a day. Continuous training is therefore not very helpful. Overtraining results in muscle loss as well as lack of energy and strength. No matter which plan you pursue: I would always recommend a phase of 8 weeks training followed by a week of rest. This way you prevent overtraining and your muscles can grow in peace during this pause. Cardio is a good alternative for this pause-week. Please pay attention to a clean execution. That is the 101. This is the only way to prevent injuries. Have a look at some videos and/or let a coach advise you in the gym. Please no false pride. Better ask more often. Before you get started, learn the routines of the individual exercises or you will hurt yourself! You have no idea where to start yet? Sign up at the gym or buy equipment to train at home?! In this article "Training - Where should I start?" I will show you how to start and achieve your best goals if you have little or no training experience. Perform this routine once a week. This plan is sufficient to build up muscles nicely and well. Do not change the training plans in a cutting phase, but only the nutrition, as mentioned above. This workout plan is really something. It's a perfect base for targeting all your muscles once a week. If you go jogging for 30 minutes one day a week and then stretch, you'll get wonderful results. Build muscles up nicely, not too stiff due to stretching and your endurance will be enhanced too. The weights have to be adjusted to the number of repetitions. I.e. with 10-12 repetitions you choose a weight, with which you manage 3 sets of approx. 10 repetitions. Only if you manage to do 12 or more repetitions in all 3 sets, you should increase your weight. Especially the basic compound exercises are usually more heavily in these schedules. The reason is, you gain more strength with less repetitions and more weight. And more size with more repetitions. The combination of heavier and lighter sets creates the optimal balance for the muscles. With this the growth is optimal, because the body cannot easily get used to one kind of training and it is constantly offered different stimulations. I would recommend to rest between each set for 1-2 minutes depending on your exhaustion. In no case longer or shorter. Just add another workout to your week.I think it's a perfect and simple addition to train muscles a second time a week by adding a heavy whole body workout with the barbell. The best way to combine it, is to do the above mentioned 3-day-split from Monday to Wednesday. Most of the exercises are done with dumbbells, cable pull or machines. After a rest of one or two days, you do a short power workout with a lot of barbell. The advantage of the barbell is that you can usually use more weights and do complex exercises. The basic exercises, also called the golden Five (bench-, military press, squats, deadlifts and rowing), involve a lot of muscle groups. If the workout is also performed heavy, then this complements the rest of the workout of the 3-day-split. You then train in one week in all repetition areas. With the split a little lighter with more repetitions 10-12 and the whole body workout with for example a heavy 5x5 program. The more strength you have, the higher weights you can lift. The more weights, the more muscle stimulation. The more muscle stimulation, the more muscle gains. You should do a minimum of 4 repetitions and a maximum of 6 in the 5 sets. The optimum weight is, when you can do exactly 5 times 5 repetitions. This is only the case after a while of trying it out. The pauses between each set can be kept around 1,5 to 2 minutes, so the muscle can get some rest and regain strength. Heavy basic exercises also train the central nervous system (CNS). With these exercises it is very helpful to have a training partner, because especially while bench pressing or squating, it can happen that you load on to many weights or need help to finish a set. Here the help of another person (spotter) is absolutely necessary, also to prevent accidents. I know what I'm talking about. Especially with heavy weights the risk of injuries is very high. Therefore you need a while of training experience. It's better to do the 5 repetitions cleanly with less weight, than to lift more by swinging and bending yourself. Athletic Version: If your goals are not only to build more muscle mass and/or strength, but a more athletic shape with functional muscles, then you can perform e.g. a functional full body workout instead of the 5x5 program. The weights, if even needed, are much lighter, the reps higher and the rest pauses shorter. This will boost your metabolism and your stamina. Advanced version: A more advanced version would be to perform the 3-day-split twice a week. Each muscle has 2 days of rest for the next workout. Be aware that if you are not used to such a high intensity, overtraining can come in easily. Furthermore you have to keep in mind that you have to go to the gym 6 times a week. The effort is very high and the regeneration phases are very small. Muscles are often passively trained, even if this group is not on today's program. The whole thing could be exhausting. But of course, the reward will be excellent. If you train for a competition, than this routine is one way to reach your physical goals. Still want some more? - OK! You still don't have enough and want a plan with which you can combine all elements, build up muscles and become really strong? Or maybe you are just looking for a new routine. Then I'll introduce you to this 5-day-split, which I also call the "Berserker", because this plan is really tough. You might laugh at the name. But It's justified, believe me. If you think otherwise, than you are a true Berserker and I can't teach you anything. Recommendations for this plan: Perform it 8 weeks followed by one week rest. Repeat if desired. After the second run I would change this routine slightly to change the training stimulation, e.g. different order of exercises, switch to other devices or change the number of sets or weights, try to combine some exercises to super sets etc. If you want to to gain a good amount of muscles with this routine, you absolutely need to eat more. At least 15% calorie surplus is recommended. Pay attention to a diet rich in vitamins and proteins. At least 2 to 3 liters (half a gallon) of water a day. Avoid sugar-containing drinks and sweets in order not to put on too much fat. We want lean gains. Morning - Daily creatine intake of 3g before breakfast or before the workout. Preferred: Kre-Alkalyn. Perform 10 reps of each exercise without a pause. That is one set. 1 minute rest. Repeat 4 times. No matter at which point of training you are. Whether you have just started or are already experienced. These plans are only recommendations. Especially when you've been training for a long time, you don't want to be told anything by anybody. If the training plans or exercises are not according to your wishes, use them as a template and exchange muscle groups, sets, reps or exercises according to your own needs. You might want to talk to your trainer at the gym first, so you perform your exercises correctly. I have tested all the training plans shown in this article and have been able to make good progress with them. But what works for me doesn't have to work for you. Every body is different. Do it wisely and don't exaggerate. You can already see differences after 2 months. But you won't become a Hulk, overnight. Don't get too distracted by all the bodybuilders and fitness models. Especially in the bodybuilder environment stimulant drugs are very common. You can't achieve this kind of body with normal training. But don't get frustrated. Because nevertheless, you can build up massive muscles. Don't get discouraged and adjust your diet if you don't get enough or bad results. Eating more or eating healthier is just one example. More than half of the training results are created in the kitchen and not in the gym.